This module collapses the sections of the Modules page for better overview. 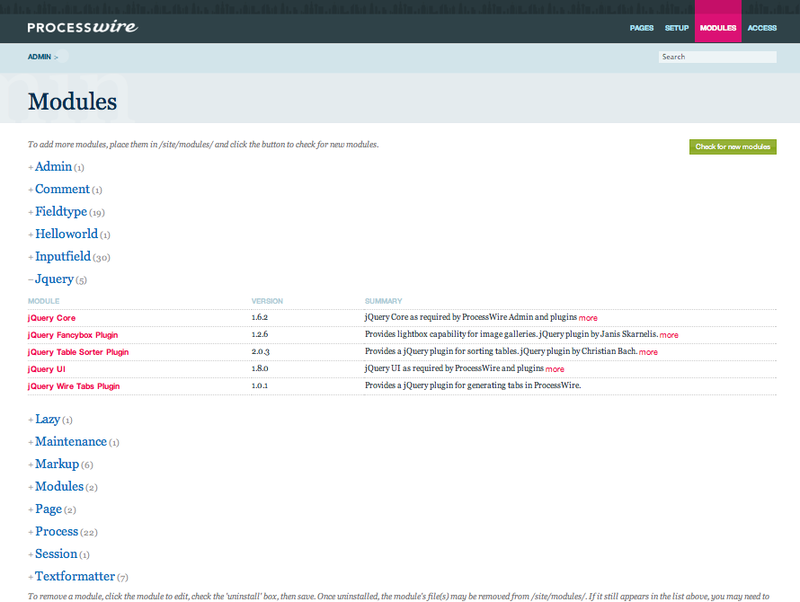 A custom module for ProcessWire2.1. - Login to processwire and got to Modules page and click "Check for new modules". You should see a note that a new module was found. Search for it in the list and click "install".